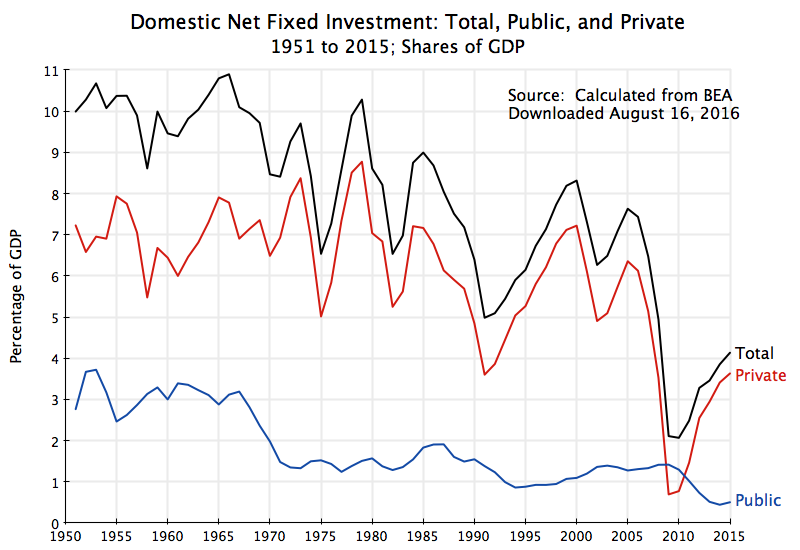 The distribution of the gains from growth have become terribly skewed since around 1980, as the chart above shows and as has been discussed in a number of posts on this blog (see, for example, here, here, here, here, and here). From 1980 to 2014, the bottom 90% of households have seen their real income fall by 3%, while the top 0.01% have enjoyed growth of 386%. This was not the case in the post-war years up to 1980: Over those decades the different income groups saw similar increases in their real per household incomes: By 87% for average income for the period between 1947 and 1980. But that ended around 1980. The data underlying these figures were recently updated to include estimates for 2014, and this may be an opportune time to look at them again and more closely. Specifically, most analyses (as well as the chart above) focus on the incomes of the top 10%, the top 1%, and so on, even though these are overlapping groups. The top 10% includes the top 1%, and an open question is the extent to which the gains of the top 10% reflects gains primarily in the top 1% or also gains of those in the 90 to 99% income range. This will be examined below. Finally, the post will look at the question of what share of the growth in overall incomes over the full 1980 to 2014 period went to the various groups. 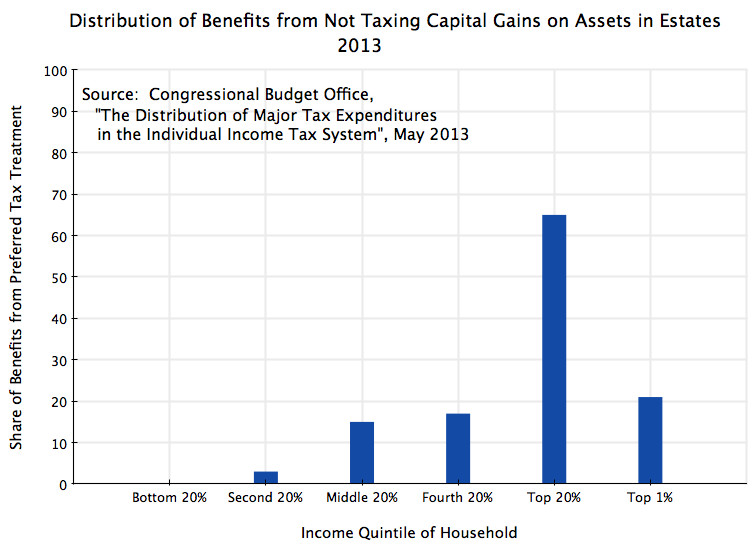 As one would expect, the gains were highly concentrated for the rich. What one might find surprising is how concentrated it was. As seen in the chart above, the rich got far richer in the period since 1980, while not just the poor but even those making up fully 90% of the population, got poorer. The data in the chart come from Professor Emmanuel Saez of UC Berkeley, who has for some years been providing the figures from which the incomes of the very rich can be calculated, often in collaboration with the now better known Thomas Piketty. 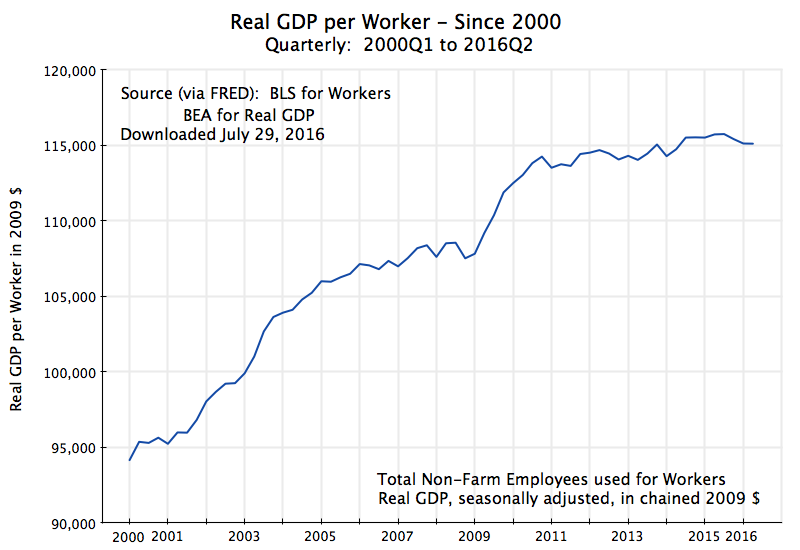 In late June, Saez released data updated through 2014: See his June 29 post at the Washington Center for Equitable Growth website, with links there to an Excel spreadsheet from which the data used here was downloaded. The basic data are now also available at the World Top Incomes Database, of Facundo Alvaredo, Tony Atkinson, Thomas Piketty, and Emmanuel Saez. Note that this data for 2014 reflects initial estimates. They may change as more detailed figures are released by the IRS (the ultimate source for the data). 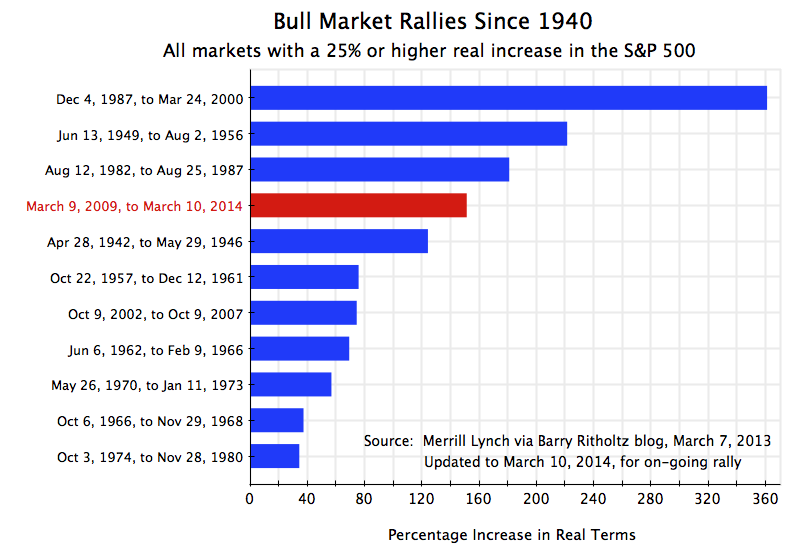 The chart covers the 1947 to 2014 period, indexed to 1980 = 100 for each of the groups. A logarithmic scale is used as equal proportional changes will then show as equal distances on the vertical axis. That is, the distance between index values of 50 and 100, between 100 and 200, and between 200 and 400, will all be equal as all represent a doubling on income. This makes it easier to see and track relative changes in values across different periods, for example between 1947 and 1980 in comparison to 1980 to 2014. The data through 2014 confirm the trends discussed before in this blog, with a sharp increase in inequality since 1980 but also with large year to year fluctuations. The year to year fluctuations are especially large for the very richest. The incomes reported here come from anonymized tax return data, and hence reflect incomes by tax reporting units (generally households) with incomes as defined for tax purposes. The income figures include income from realized capital gains, and hence one sees peaks (especially among the very rich) around 2000 (due to the dotcom bubble) and again in the middle of the first decade of the 2000s (coinciding with the housing as well as stock market bubbles of those years). The fluctuations between 2012 and 2014 can also be explained, at least in part, from tax law changes. The Bush tax cuts were allowed to expire for the very rich in 2013 (they were made permanent for everyone else), which created an incentive for the rich to bring forward their taxable incomes into 2012. This increased reported income in 2012 (when their tax rates were lower) while reducing it in 2013. 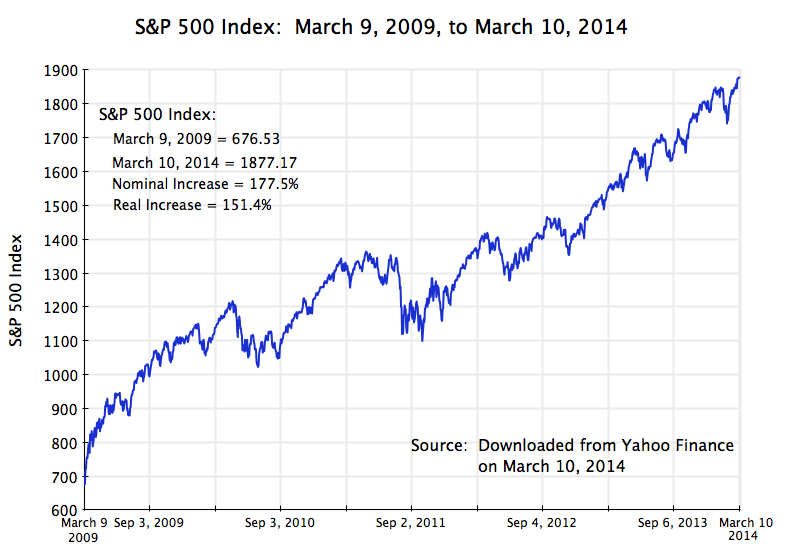 There was then a return to more normal levels in 2014. Average household incomes rose only by 27% over 1980 to 2014, a sharp slowdown from the 87% growth achieved on average between 1947 and 1980 (with one less year as well in that period, compared to 1980 to 2014). 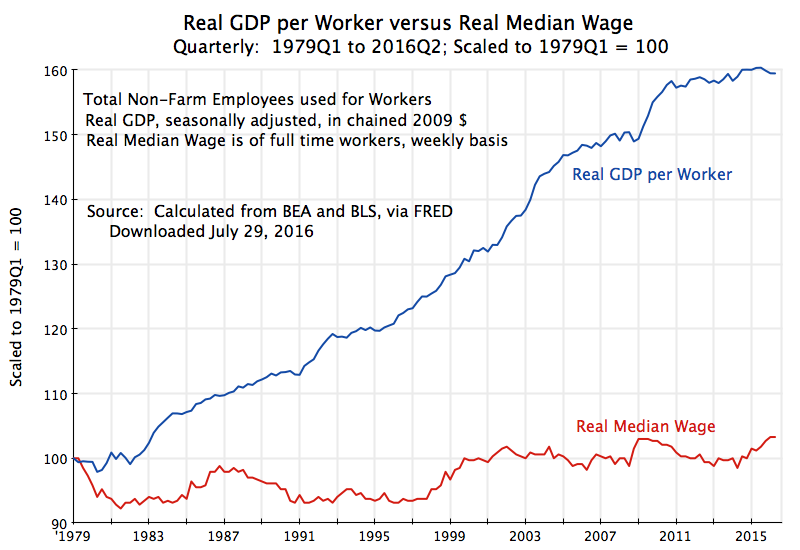 An earlier post on this blog discussed the immediate factors that led to this sharp deceleration in growth for average incomes (at least for wages). But I want to focus here on the growth in incomes of the higher income groups, where there was no such slowdown. Between 1980 and 2014, the top 10% saw their average incomes rise by 82%. This was far better than the 27% growth in overall average household income in the period, and even more so than the 3% fall in incomes for the bottom 90%. But it is actually similar to the growth seen for most income groups between 1947 and 1980, when average incomes rose by 87%. One could reasonably argue that the top 10% did not do especially well over this period, but rather only saw a continuation for them of the previous trend growth. The ones who undisputedly did especially well post 1980 were the top 1%, top 0.1%, and especially the top 0.01%. 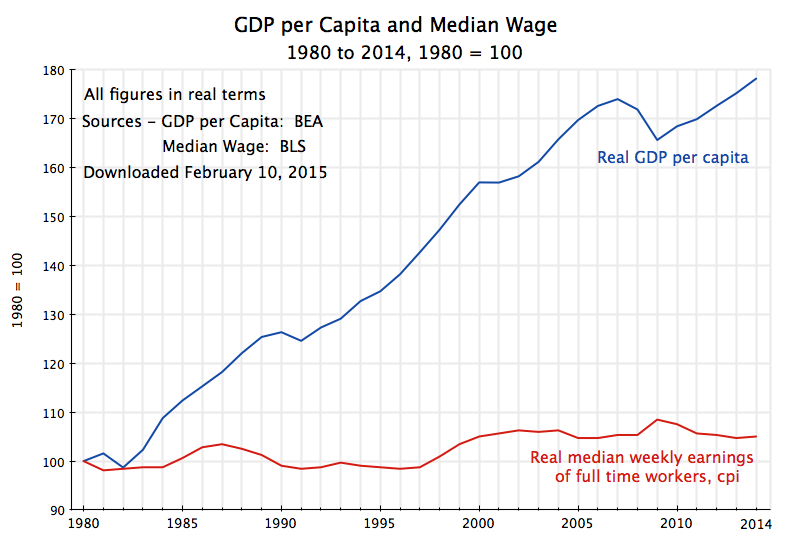 The richer you were, the greater the increase enjoyed in the post-1980 economy. Note there is no necessity in this: The households are stratified by their rank in income in each year, but the growth in incomes over the period could be greater for the top 10%, say, than the top 1%. Indeed, this was the case over the 1947 to 1980 period. But between 1980 and 2014, the higher your income, the higher your growth in income: The average income of the top 1% rose by 169% between 1980 and 2014, by 281% for the top 0.1%, and by 386% for the top 0.01%. It should not be surprising that the extreme rich are pleased with how their incomes have grown since 1980, which many have not unreasonably attributed to the election that year of Ronald Reagan. But you have not done well if you are in the bottom 90% of the population – your real income has stagnated over this period of more than a third of a century, and indeed even fell slightly. 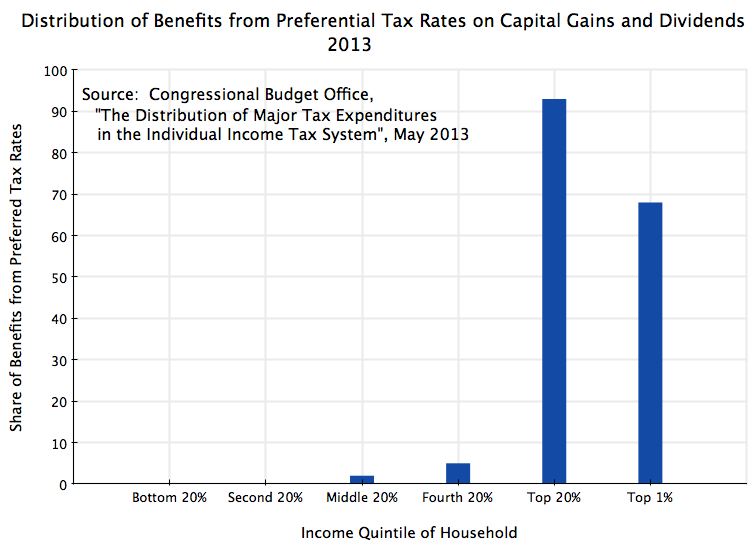 As noted above, there is a potential issue when figures are provided for the top 10%, top 1%, top 0.1%, and top 0.01%. Even though commonly done, the figures for the top 10% include the incomes of the top 1% (and the top 0.1% and top 0.01%). That is, these are overlapping groups, and one cannot determine just from figures presented in such a way whether the share of the top 10% increased because of higher incomes for most of those in the group, or because those in the top 1% saw an especially sharp increase. Similarly for the top 1% and top 0.1%. Since the very richest enjoyed such a sharp increase in their incomes, one cannot say with certainty from just these figures whether the widening distribution reflected higher incomes for most of those with higher incomes, or just for the extremely rich. 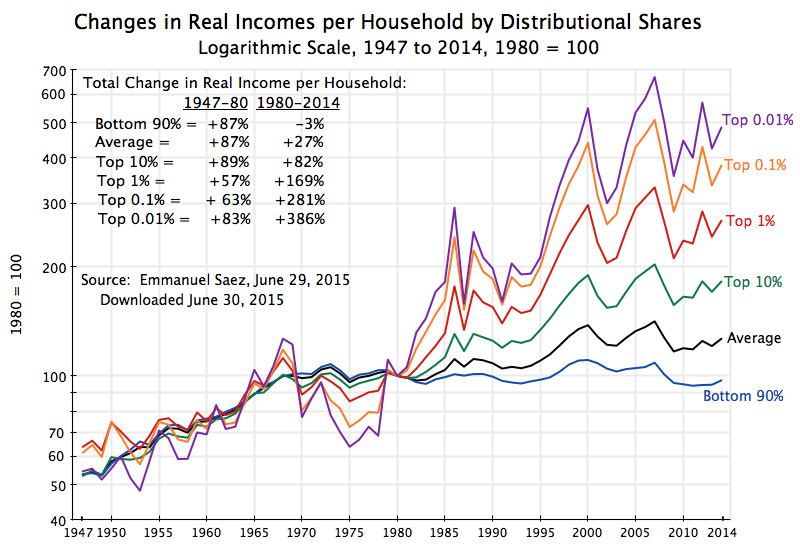 The bottom 90% is as in the chart at the top of this post (decline of 3% in their real per household incomes between 1980 and 2014), and growth was 27% for average household incomes over this period. But then it is of interest to note that those with incomes in the 90 to 99% range of households saw real income growth over this period of just 47%. While better than the overall average of 27%, it is worse than the average growth achieved of 87% in the third of a century before 1980. It would be difficult to argue that they have done especially well in the period since 1980. They did worse than what average growth for everyone was before. The group in the 99 to 99.5% percentile of income (in red in the graph) saw their incomes over the 1980 to 2014 period as a whole rise by 89%. 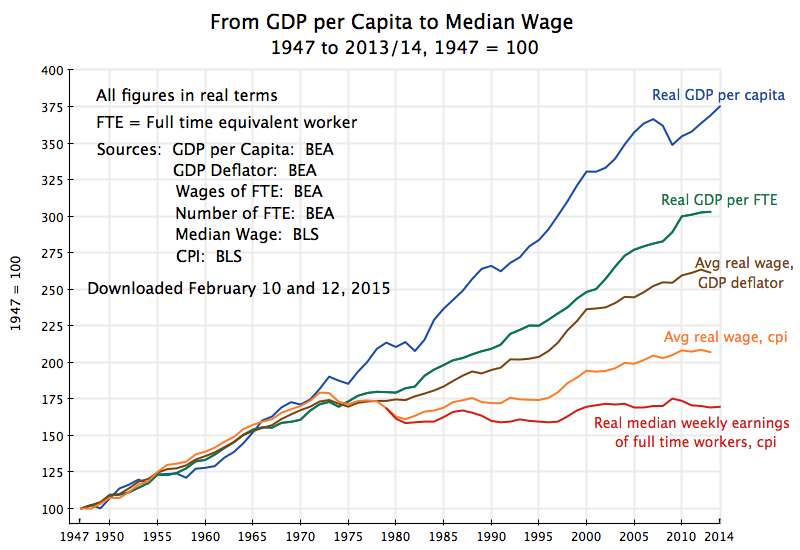 This was almost exactly what their growth in incomes would have been had they grown at the same rate as average incomes grew between 1947 and 1980. Thus they did not do worse post-1980, but also not better than what the average for everyone was before. The groups that did do better post-1980 were those in the top 0.5% of the distribution. Those whose income put them in the top 99.5 to 99.9% of the population saw income growth of 127% over this period; those in the top 99.9 to 99.99% of the population saw income growth of 219%; while those in the top 0.01% enjoyed income growth of 386%. These groups did extremely well in the post-1980 economy. Thus the slogans about the top 1% should perhaps be refined. It is really the top 0.5%. The top 10% of households accounted for a little over a third (35%) of overall household incomes in 1980. But between 1980 and 2014, they captured 107% of the gains in overall growth, raising their share of overall incomes to 50%. 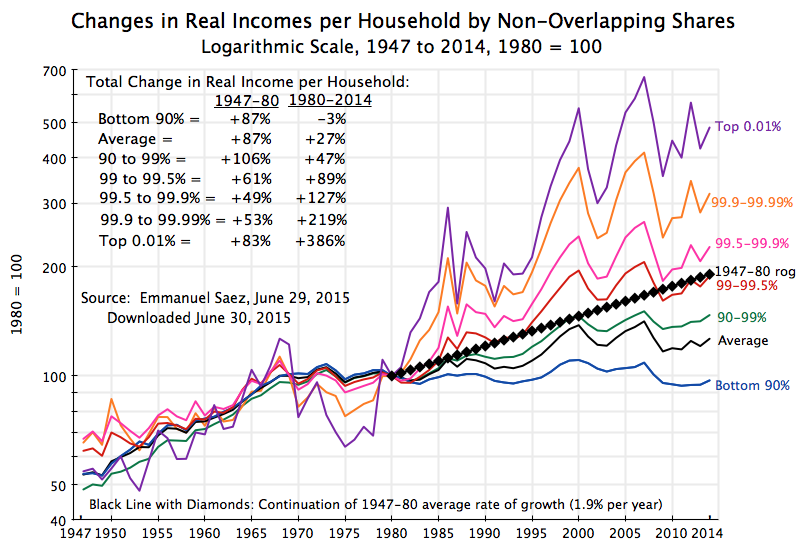 The bottom 90%, in contrast, saw their per household real incomes fall. They “gained” a negative share of the income growth, of -7% (the mirror image of the top 10%). Their share of overall incomes fell from almost two-thirds (65%) in 1980 to just one-half (50%) by 2014. These are huge changes in national income shares over such a period. Breaking this down further, it is the top 1% and even more the top 0.5% that accounted for the bulk of this worsening in distribution. The top 1% captured 63% of the gain in overall incomes between 1980 and 2014 (in per household terms), and saw their share of overall income more than double to 21% in 2014 from “just” 10% in 1980. But the top 0.5% captured 54% of the gains, and saw their share rise from 7% to 17% over this period, or an increase of 10% points. That is, the increased share of the top 0.5% accounted for, by itself, fully two-thirds of the 15% point increase for the top 10%. Yet there are only one-twentieth (1/20) as many households in the top 0.5% as the 10%. 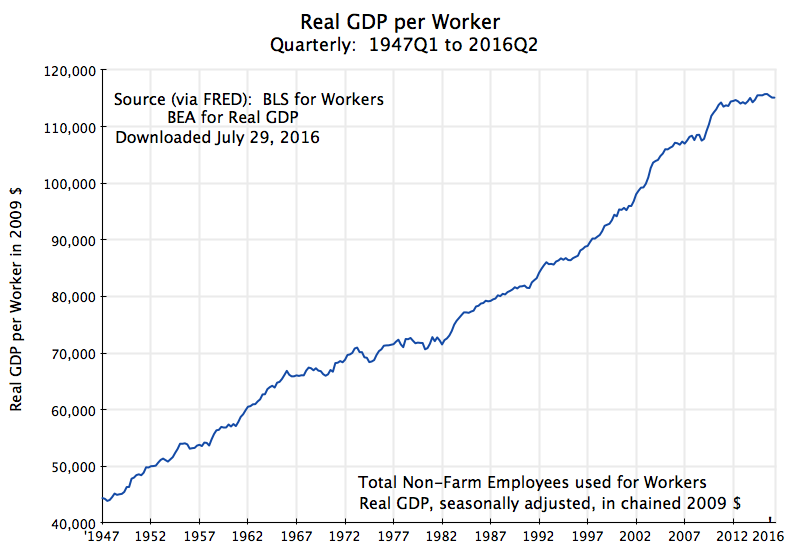 The distribution of the gains from growth have become extremely concentrated. Just the top 0.5% (five-thousandths of the population) captured more than half of income growth generated by the economy over this 34 year period. 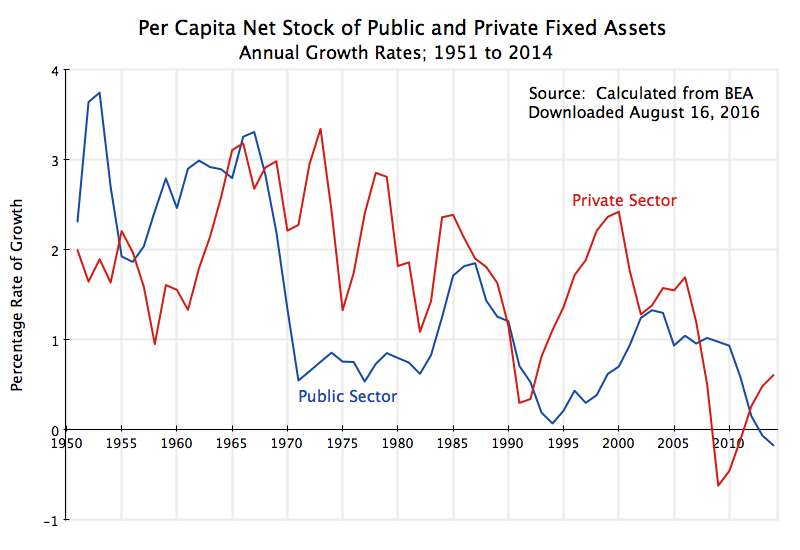 The gains from growth have accrued overwhelmingly to the very rich since 1980. And it is not really the top 10% who have done so well, nor even the top 1%, but rather the top 0.5% . 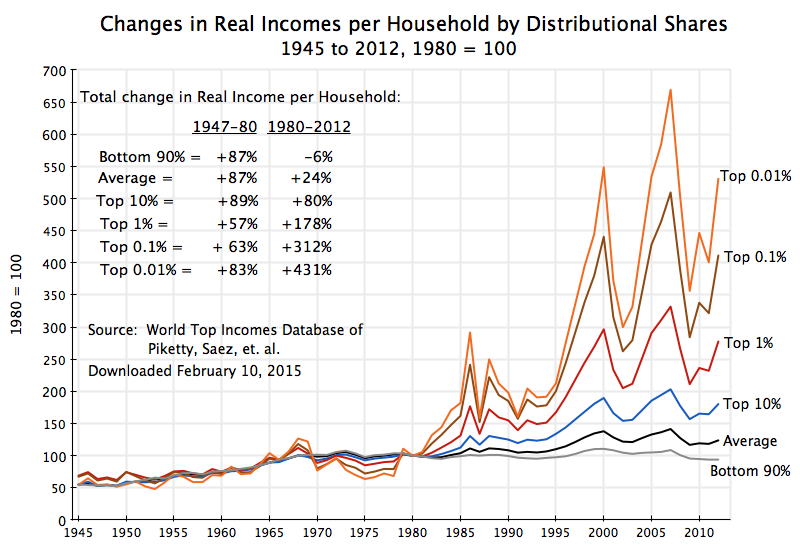 At the same time, the bottom 90% have seen their real incomes fall. Something changed around 1980. Growth before then (in the period since 1947) had been much more evenly distributed, with the rich as well as the bottom 90% doing similarly well, with growth of 1.9% per annum in average household incomes (a cumulative 87%). To be fair, one cannot say with certainty that the turning point was in 1980 rather than a few years before or a few years after. Incomes in any given year will depend a good deal on whether the economy is growing strongly or is in recession, and (especially for the rich) whether the stock market and other asset prices are booming or in a bust. The economy was also already struggling in the 1970s. It is therefore difficult to mark when there has been a change in trend as opposed to fluctuations caused by year to year factors. 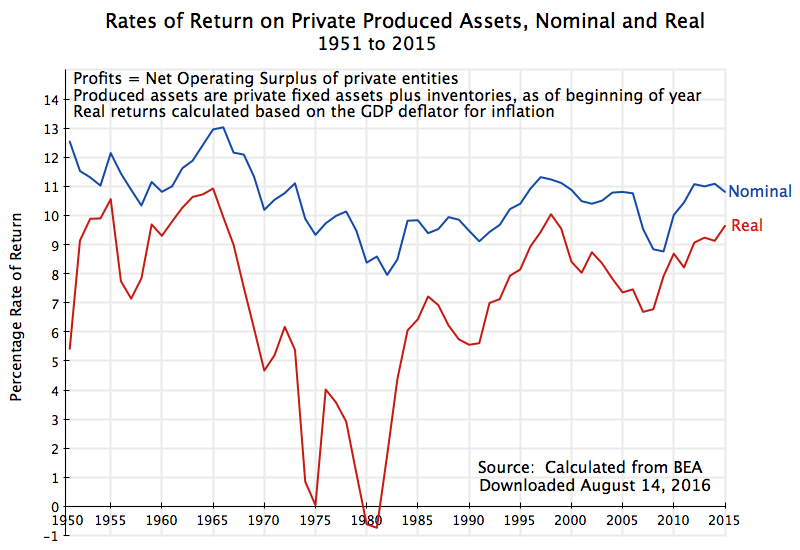 But something happened to the economy in either 1980 or in the years surrounding it. Ronald Reagan was of course elected president in 1980. He launched a broad set of policies that conservatives like to praise as the “Reagan Revolution”. There is no doubt that a deterioration in distribution resulted from many of the policies that Reagan won (large tax cuts focussed on the rich, attacks on labor unions, a focus of macro policy on inflation rather than unemployment, deregulation of financial markets and other sectors, changing wage norms which led to giant compensation packages for CEOs and others at the top, and so on). But to be fair, one should add that other structural changes in the economy in recent decades have also had an impact on distribution, such as changes in technology, from globalization, and following from these, an increasing number of “winner-take-all” markets. But whether due to policy or structural changes or (almost certainly) a combination of both, it is clear that policy did not counteract the resulting extreme concentration in the benefits of growth accruing to very rich. And that is a challenge that needs to be addressed.